The Research Institute for Languages and Cultures of Asia (RILCA) was firstly established in a name of “Research Center for Languages and Cultures of Southeast Asia” in 1974 to produce Linguistic academicians that are advantage in communicating with people on diversity race, languages and cultures. In 1981, was changed to “Research Institute for Languages and Cultures for Rural Development” and lastly became “Research Institute for Languages and Cultures of Asia” in 2009. The philosophy of RILCA is “Languages and cultures are the heart of sustainable development”. Therefore, the main task of RILCA is to support research toward diversity of languages and cultures and also promote the positive communication outcomes in Southeast Asia. 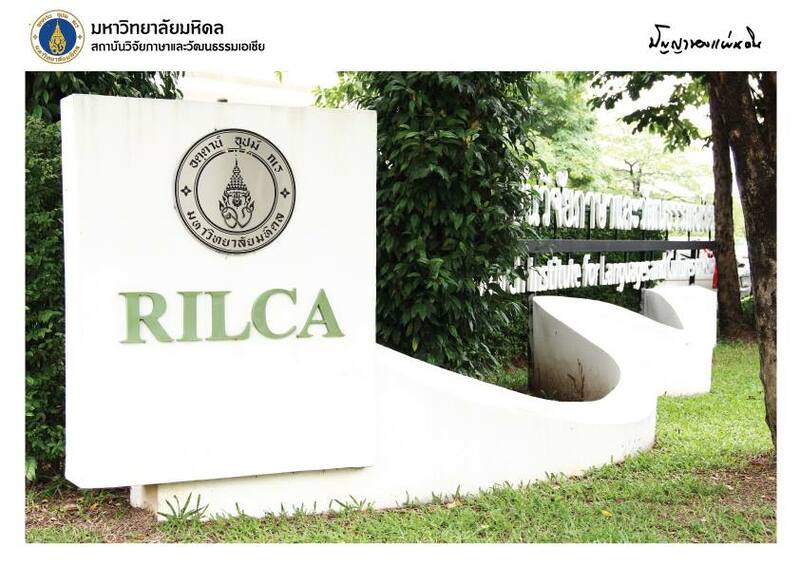 Besides, RILCA is a first well-known institution that studies about Languages and Cultures in Southeast Asia. The research findings of each studies are advantage to many parts of society both nationally and internationally such as education and social development. RILCA is not only doing a research, but also producing the graduate. RILCA has four languages and cultures postgraduate courses, there are Ph.D. and M.A. in Linguistics, Ph.D. in in Multicultural Studies, M.A.in Languages and Cultures for Communication and Development and M.A. in Cultural Studies. In 2006, RILCA was one of the top four institutions teaching in the fields of Anthropology and Arts. RILCA also is to provide academic service for those who are interested by publishing and seminar. Another task is to maintain the important traditions, it is to arrange many the activities.